We teach all styles from rock, pop, jazz, country, worship, blues and classical. We combine the important fundamentals with the music YOU want to play. With all of the teachers at Logan Music Academy, you are sure to find the best match for YOU. We search the entire area for the top teachers, who embody the high values at Logan Music Academy. Most importantly, our instructors strive to relate their teaching to each individual student's learning style. Many of our instructors have gone on performance tours of the USA and Europe and have years of professional performance and teaching experience. In addition to their teaching credentials, our teachers have warm personalities, are extremely friendly, and strive to get to know each student and their parent on a personal level. We search high and low for the BEST teachers, so you don't have to! Our private voice teachers focus on popular music, classical music and musical theatre songs. If you have always wanted to be a better rock, pop, country, jazz, gospel, theatre, or R&B singer, then we have the right voice teachers for you! Voice students spend time each week doing physical exercises to improve their vocal range, ear training, breath control, vibrato, tone production, enunciation and more. 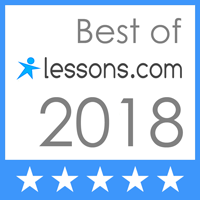 All voice students set goals with their teacher to work on sounding like their favorite recording artists, preparing for a theatre audition, or if they prefer, to develop their own unique voice. Our string instructors will teach all styles of music, from learning to play by ear to reading music. If you want to play classical music or the fiddle, we have a teacher for you. Students can be as young as 5 years old, or younger with the teacher's approval. Our students love learning the fundamentals, as well as incorporating your favorite songs into their lessons. Our violin and cello teachers have friendly personalities and love working with children and teens and adults!